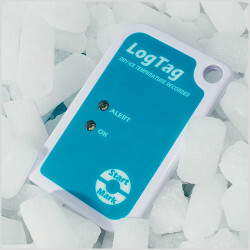 The LogTag® Dry Ice “Probe-less” Temperature Recorder operates, measures and stores up to 8000 tempe.. The LogTag® TICT iS0°Tag® is a tamper-proof electronic indicator which shows if the temperature has .. The LogTag® TIC20 is an irreversible electronic temperature indicator used to monitor temperature in..